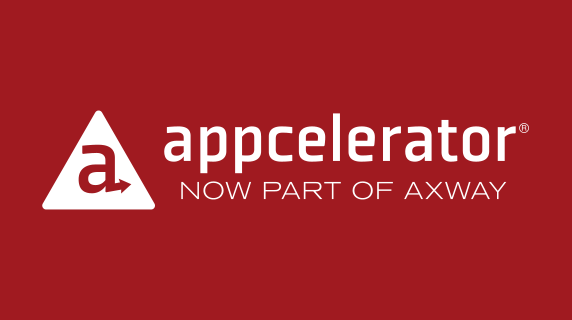 I’m pleased to announce that Appcelerator has been acquired by Axway (Euronext: AXW.PA), a global software company with more than 11,000 public- and private-sector customers in 100 countries. Axway is as passionate as we are about helping people build great mobile experiences. The word ‘mobile’ has really become shorthand for the need to build excellent experiences across a range of devices—the full digital spectrum. And this means unleashing backend data and services so devs can innovate. Axway’s software is trusted by some of the largest brands in the world, and their API suite is the perfect complement to Arrow. Together we’ll help to drive a world fast converging around APIs and microservices. Axway loves Appcelerator, and the Appcelerator community. There are lots of “flavors” of acquisitions, and not all of them care about preserving the acquired company’s culture, technologies, or team. Axway does. Not only are they keeping our offices and our entire staff, but they’re looking to expand investments in the areas most important to our customers and our developers. In doing a deal like this, we were seeking a win for employees, customers, partners, and our dev community, all. I’m thrilled to report that Axway’s commitment matches our own. We’ll have plenty more details in the coming weeks and months. Just know that if you’re an Appcelerator user today, all of this is terrific news. The effect of this deal will be to put even greater product innovations into your hands, faster. And if you’re an Axway customer, we can’t wait to get better acquainted! Nothing changes for the moment. Over time, we expect our joined customer bases to benefit from a single point of contact and expanded support offerings made possible by a company of Axway’s scale. As a SaaS company, we’re always fine-tuning our offerings and pricing model, but we don’t anticipate any near-term price or licensing changes as a result of this transaction. Axway and Appcelerator products are entirely complementary. No products or versions are being discontinued or phased out from either the Axway or Appcelerator portfolios as a result of the acquisition. On the contrary, there will be renewed investment in some key areas. As a training partner (currently on lunch break, teaching a class right now), Appcelerator “titan”/community member of Appcelerator, congrats Appcelerator and Axway! I am excited to see what this new chapter means for both Axway and Appcelerator. Keep up with your good work! What about the free uses accounts upgraded to the Indie program? will you start charging for it now? Hi Abraham – There are no changes to the grandfathered free Indie plans. These will remain in effect as-is. Thanks for being a loyal user. We CureApp, Inc. use Titanium for our product. We feel grad to hear the news of the acquisition! Keep going ahead and we’ll develop mobile apps with your engaging software!!! ganbatte kudasai! Marc – I can confirm that there are absolutely no plans to raise Indie prices or remove that plan. Our developer community remains core to our future. I’d like to know if you plan to do something in order to increase ide&framework quality and stability? Or everything will stay as it is now – endless amount of bugs, slow bugfixing, etc? Hi John, this is indeed something we are focusing on. There has been a stability / bug fix component to our last few releases as you would expect following any major release. One of the benefits the acquisition provides is additional resources which will make it easier to strike the right balance between innovation and hardening of existing features. Thanks for the feedback. You just got bigger and better. It’s going to be tough for competition to go up against that.